​I started HTML programming (for web page creation) at my 8th standard. There was no need to web page creation, That was not in our syllabus, teachers or parents did not tell me to do that. I just write programs as it was my hobby. At that time internet was not broadly spread like today. Very few person only used the internet. So naturally, I had no internet connection. But I learned that websites were made in such way.It was kind of interesting to me. So one day I thought, what it would be if I create a website by writing programs? Then I made three websites about Arnold Schwarzenegger, Fossils (Bengali band) and Inflames (western metal rock band). And all the files and songs were stored on my hard disk, and those websites were accessed pictures and mp3 directly from hard disk. I had no tools to develop it more. There was nobody who could help me that time. I have posted about this before on this blog, but now I think, I should not complain or blame anyone. It's always better to focus on next move. At the very first, blogging is all about writing good content and post them. Content is still the king now, but some more things have been added into this. Like search engine optimization. You should know the proper idea about how a search engine works, what search engine likes and dislikes. And many more tools are available in the market for creating content to promoting your page, how to properly monetize and all. So let's get to start one by one. The first thing that I use for topic research is KWFinder. It's a fantastic tool which will tell you about any keyword's search per month, cost per click. And the most interesting feature is the difficulty level of a keyword. I will recommend you not to exceed difficulty level 40. 20-30 is the best option. If you want in that range just go to filter option and set the minimum difficulty level to 20 and maximum difficulty level to 30. then click on set filter. The free version has a very limited facility. You can search only three keywords per 24 hours. It's always better to register their basic package is you take blogging seriously only then. Otherwise no need to subscription. It starts with $149 for a year. Again I say, if you are just a beginner and you have not enough budget, then you don't need to subscribe KWFinder. But if you are working for 2 or more years, you have a custom domain, good template, quality content; then this product can enhance your blog's revenue if you use this correctly. Semrush is another valuable tool for bloggers. 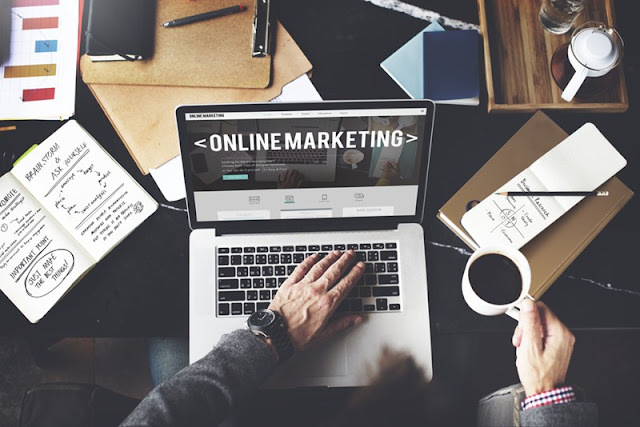 It will show you any website's backlink information, most searched terms, their cost per click, the number of organic searches every month, competition, etc. here is an example, where I've searched for the term "Cryptocurrency" and got this result. Pretty good CPC with a good amount of searches. You can start a micro niche blog on cryptocurrency. You may ask, then why don't I start myself in this niche? Man, I'm too lazy. I don't need to make one more blog to make money. 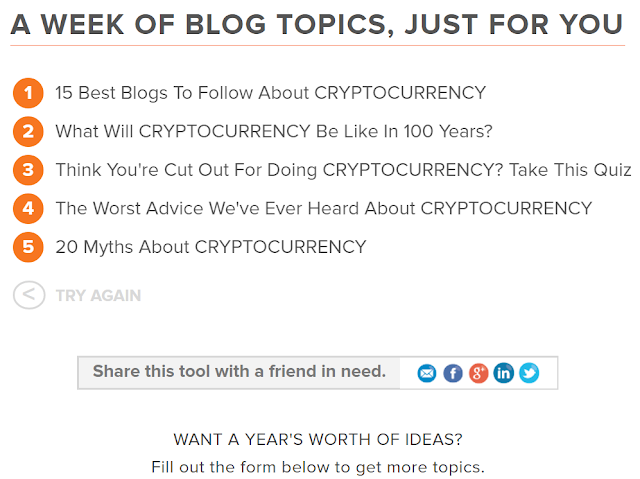 But all I can say, here is a good option for you to start a blog on crypto currency. 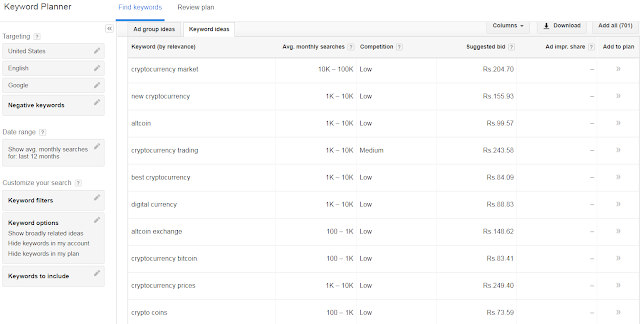 Google Keyword Planner is probably the most popular tools for keyword research as Google itself makes it and it's totally free. 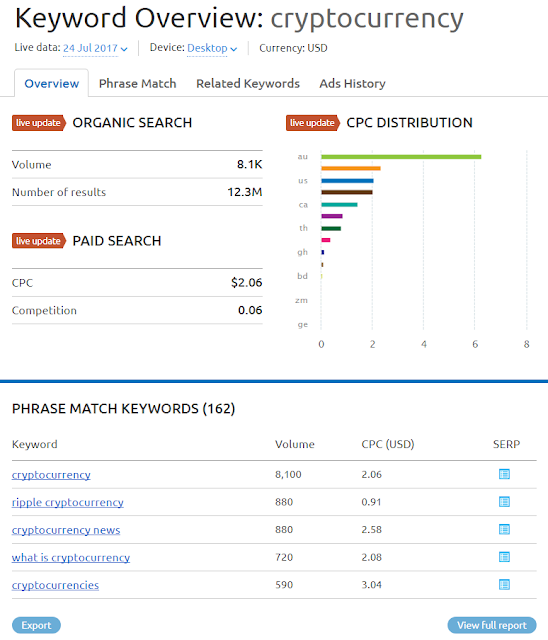 You can get data like monthly searches, cost per click (CPC), competition level, etc. I use this tool from the early period of my blogging. Almost all bloggers use this tool, and it's the most popular. 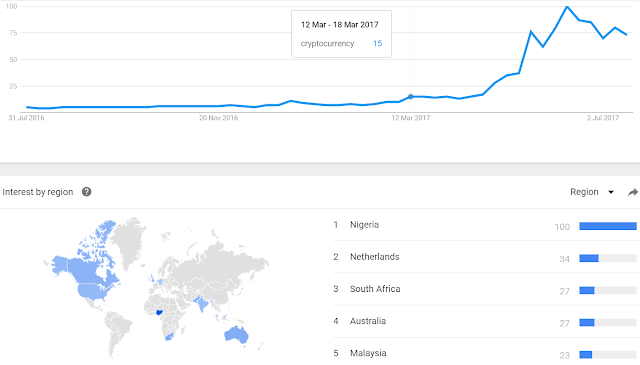 Check the picture where I've searched for cryptocurrency and here is the result from Google keyword planner. BuzzSumo helps us to stay informed about whats trending in the market. 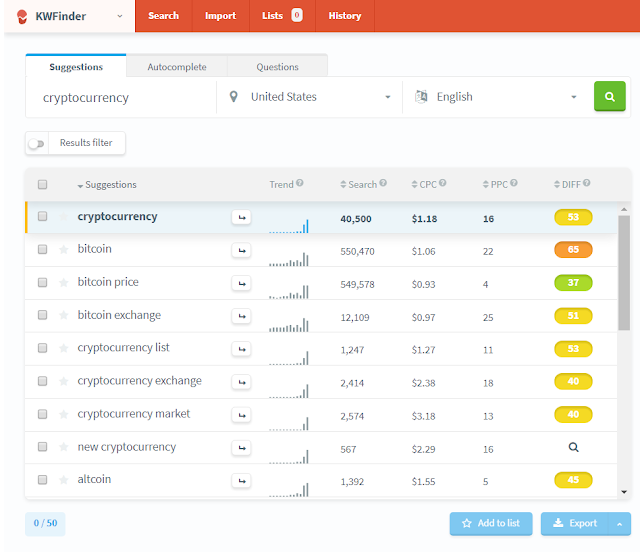 Type anything, like here I've typed cryptocurrency and here is the result shown by BuzzSumo. It can give you which type of articles get most shares in the social media like Facebook, Twitter, Google Plus, LinkedIn, etc. Then you can check some of those and get an idea about what type of content readers love most. Apart from that, I will suggest you write a content mixed with a sense of humor. I still remember serious classes were most boring classes in school or college. When you make your reader comfortable and pretend yourself as a good friend, he will learn or understand faster what you want to say. It actually happens. My most difficult problem is, I can't select what to write next on my blog. Quora helps me a lot in that case. Find the section about your niche and start finding some good questions. Actually, we write a blog to help people. And in Quora, people come to get helped by us. So use this opportunity. I always keep my eyes on Quora under my niche(s). Also check the number of views also. Under 200-300 means not so good, on the other side too many views on a Quora post means hard competition. So go for a medium. Find some good questions and answer them. Always try to write in details as much as possible. And also try to make your post best on the web. Keep your visitors pleased, and your visitors will be pleased you when you get a message, "Hello! Your a/c has been credited with $$$$". Is not it better? I hope you will agree with me at least on this issue! Yahoo answer is a good alternative of Quora. When you are looking for more topic ideas, HubSpot can help you. HubSpot has a great feature; it's called Hubspot Topic Generator. You have to put main keyword(s), up to 3 keywords and it will generate five topics, which you can write about. Though it's really a good feature, I personally don't use this. 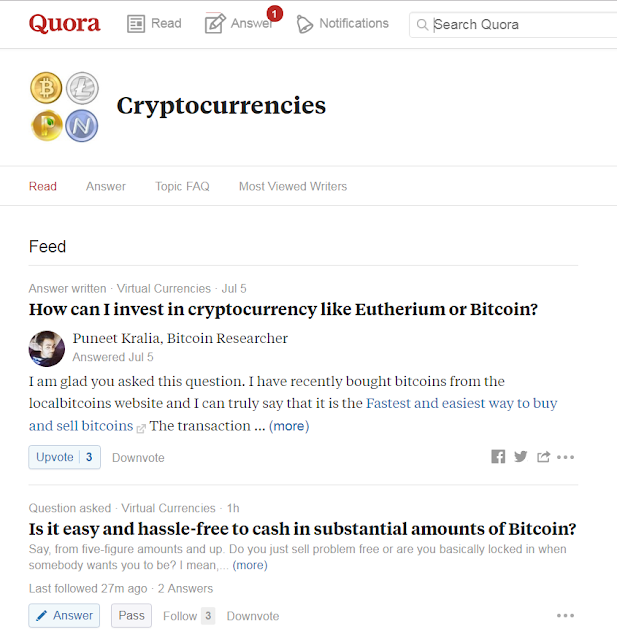 Quora seems better to me. Anyway, in the above picture, I put cryptocurrency as noun 1 and here is the result you see. Some of us write evergreen content, while some write trendy content. Evergreen contents are like- benefits of black coffee. Where as trendy contents are like- Shah Rukh Khan has gifted a luxury car to Salman Khan. That's today's news, but after five years after nobody will remember or care about this news where as people will search for the benefits of black coffee even after 5-10 years and more. Blogging tips and tricks are considered as ever green content. But you can make a lot of money also from the trendy blog too like Buzzfeed. The best way to find about the latest topic is Google Trends. Just open google trends, select your country and check top 50 most trending topics right now. If you can write fast on a trending topic than your competitors with details, then you can make a lot of traffics. Now comes to writing part. Blogger, WordPress or Tumblr all platforms are creating in such way which supports rich text. That means you don't need to learn code, just write it and post it. Many people use spinner tools. That spins words and make the same article with different words. If you take blogging seriously, I will say STAY AWAY FROM THAT. I mean it. Cause those are useless to search engine. Write quality content, if you can't then no problem. Hire a writer from Upwork or Fiverr. Don't choose writing for the cheap price, go for a writer who can write a standard quality article. Obviously, you have to pay a little extra for that, but that's really worthy. I told about the spinner. There are many spinners in the market; the best one is WordAI. You can use them only for PBN blogs, not for money blog. So your writing part has been finished. Now you need a proof reading, to check all grammar and spellings. There are many software in the market. 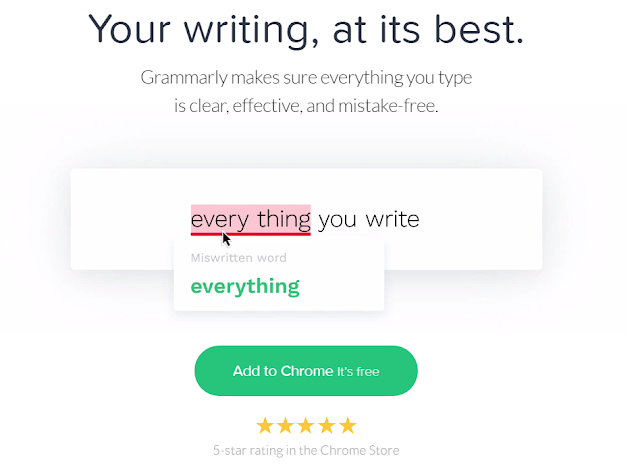 Grammarly is the most popular software we use. The trial version has some limitation, so it's better to buy a premium account for a year. It works fantastic and helps me a lot. I use Grammarly every day. If you are serious about blogging, if you are working with a custom domain, then I will suggest you buy Grammarly, and it's worthy. The last part is the picture. An article is boring always until you use the picture(s) in the article. A picture helps your article more meaningful and more attractive. I hope many of you use picture inside your blog post. But from where do you collect those pictures? 95% will say from google image search. Well, but do you know maximum pictures of there are copyrighted materials. So if the owner claims to delete the picture, you have to do so, other wise you have to give a backlink to a source of the picture. Or may be he can file a DMCA complaint. Too much completed, I hope you never expected those. So what's the way? There are three ways. 1st, in google image search, there is an option also- label for reuse or label for noncommercial use. 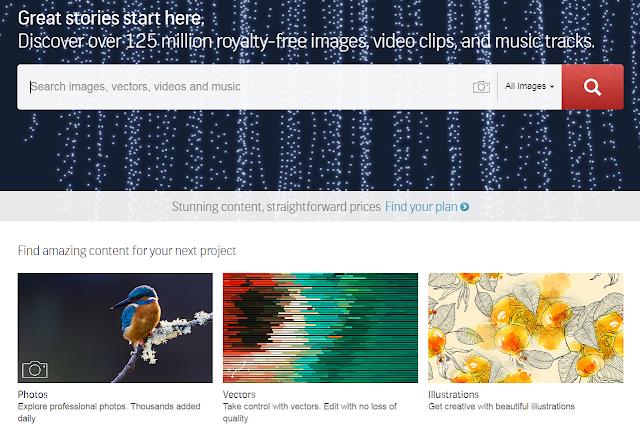 2nd, buy the stock photo from stock photography sites like iStockphoto, Shutterstock, etc. you have to spend some dollars for it, but you will be completely safe for that. I use stock photo also on my blog. The last option is, there are some stock photography sites also which provides royalty free photos like Pixabay, Pexels. That's the ultimate resource for your blogging. If by chance I miss any point, let me inform in a comment, I will add that. Hope it will help you who are completely new to blogging. Well, no more today. If you have any doubt or question, feel free to contact me here. Just do drop a comment below. If you really really like this post, then please do share it with your friends via social networks like Google Plus, Twitter, Facebook, LinkedIn, StumbleUpon etc. if you want to get all the latest updates of this blog, you can like my Facebook page, follow on Twitter or subscribe my blog feed. Take care. Have a nice day.